Google Wifi costs £129 or £229 for a pack of two, and launches today, April 6. The exact same price and date as Google Home, non-coincidentally. Unlike Home, it's not had the full-on, multi-coloured design treatment, but it is still an attractive thing, as home networking devices go. But the big question about Google Wifi is this: just what the hell is it, and should you get one? …And the answer is yes. If you have a home with Wi-Fi black spots, or want to optimise a home where the Wi-Fi is largely okay but could be just that bit better – because let's face it, it always could – you want Google Wi-Fi. 1) Google Home is incredibly easy to setup. 2) It demonstrably improves wireless throughput, whilst also making it easy to add wired devices, thanks to two Gigabit ethernet ports. 3) And this is the clincher: it has a beautiful app that lets you PROVE to friends, colleagues, and long-suffering family members that your Wi-Fi performance is lookin' GREAT. There you go: officially 'Pretty quick'. …And placement of the extender part of your Google Wifi double pack is easy because the app will also tell you when it's an optimum distance from the router. AND how good reception is on whatever mobile devices you have the app on. Before you know it, you'll be going from room to room, issuing a small 'Whoop!' at getting the above message (or running off to slightly move your Google Wifi box, or going online to buy another one, until either perfection or bankruptcy is achieved). What's equally impressive about the app is it lets you setup a guest network, limit your kids' devices access to the web, in seconds. Setup is also very simple. So long as you turn off the DHCP server and Wifi on your existing router/modem, it is almost literally plug and play. For anyone who is painfully familiar with how home networking products usually work (or don't work, more accurately), that is almost mind boggling. Yeah, okay, I'm easily impressed. If your home network is amazingly complex or setup in very specific ways, there may well be pain points but for most users, it should be easy, peasy, lemon squeezey, rather than difficult, difficult, lemon difficult. So what is Google Wifi? Google Wifi is two things, actually. It's a router, which replaces whatever you're using at the moment. This creates an AC1200, dual-band, 2x2 Wi-Fi 'mesh' network, with WPA2-PSK encryption. It's built to be fast enough for 4K streaming, and for serving multiple devices owned by multiple power-users. It's Wi-Fi for your average T3 reader's abode, in short. However, Google Wifi is also an extender. You can add a second unit in your lounge, and then another one upstairs, and then one in your basement, and so on, creating what's known as a Mesh network. The system is slightly different to a standard Wi-Fi extender in that as you add further Google Wifi units to the network, it becomes more and more robust. That's because, rather than just receiving the Wi-Fi signal from your router, they're also receiving signals from each other, passing the bandwidth on like a relay runner's baton, erm, sort of. If you've ever used a Sonos multi-room system or Z Wave smart home gadgets, you'll have experienced a Mesh network. Each unit also contains two Gigabit Ethernet ports for attaching consoles, TV streamers and so on. The usual router management tools are included, with the option to setup a guest network, or reduce your kids' access to the Wi-Fi. 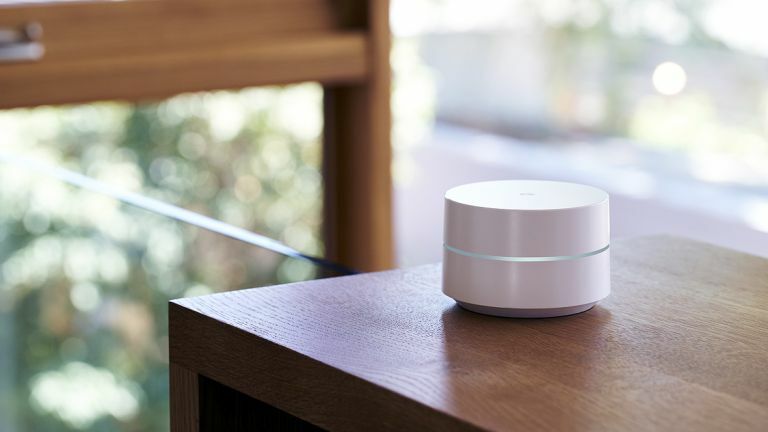 If you have a large home, or just one where your existing router struggles to put Wi-Fi through certain walls, Google Wifi could be a solution. It's notably cheaper than Netgear's rival Orbi system, which is probably not great news for Netgear.